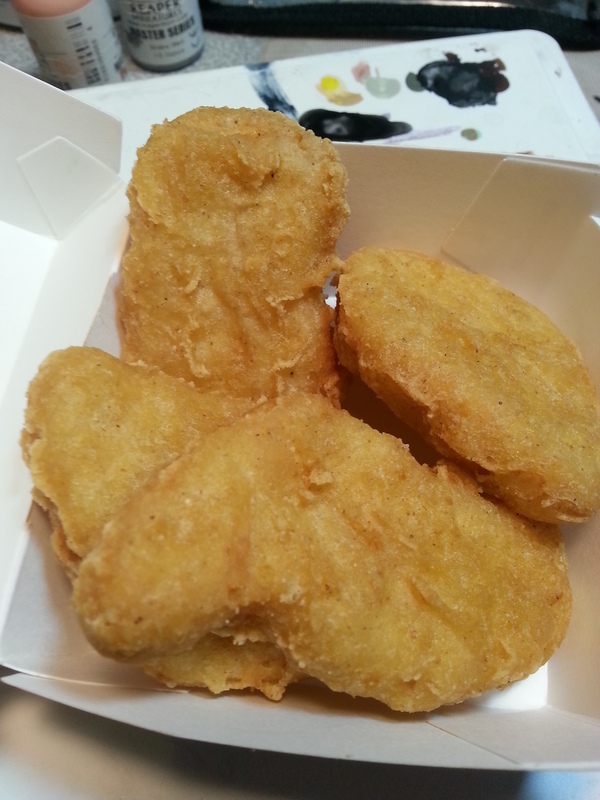 The idea is that evil is in your nuggets. 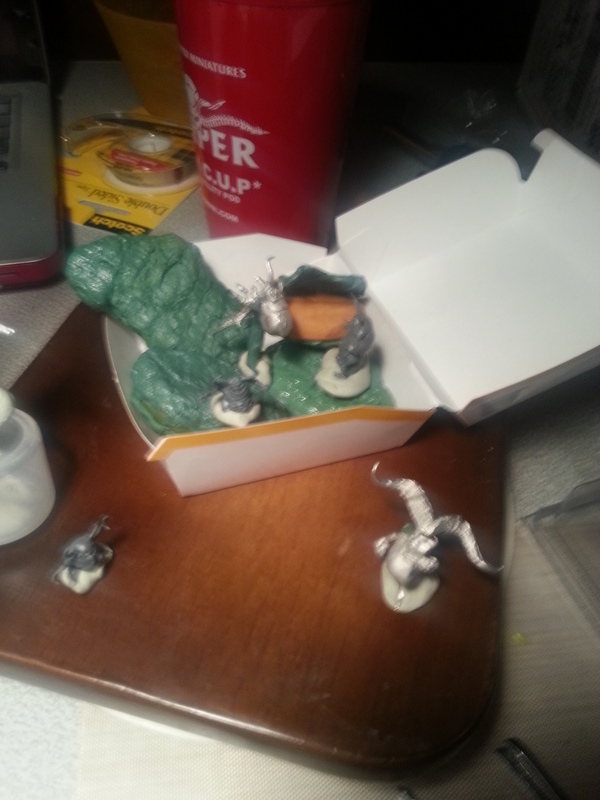 This evil has been put there by the little minions I got from Red Box Games under the instruction of Wyrd’s imps. 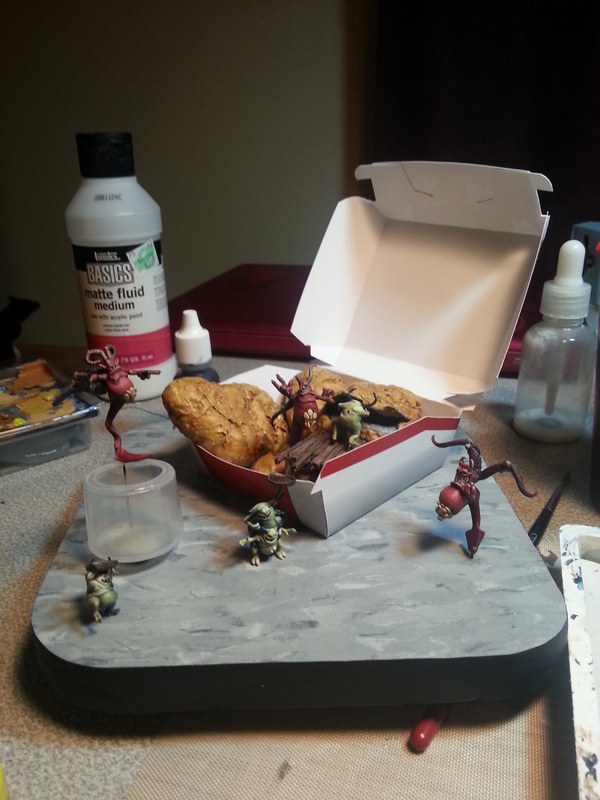 From the pictures you can see the soon to be evil pot, the sculpted/molded chicken nuggets and the minis in question. 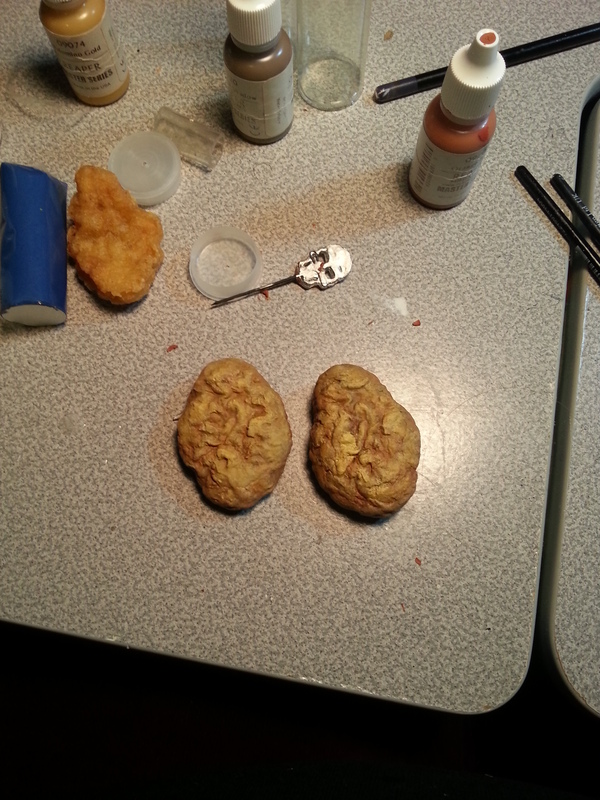 I think you can even see the nasty nuggets in one of the photos.